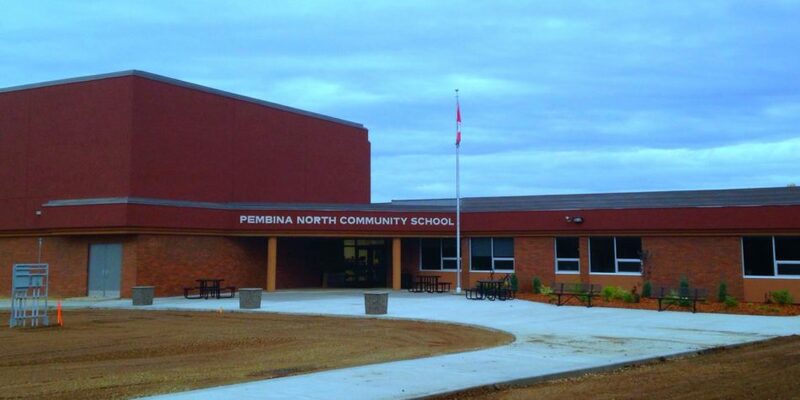 Pembina North Community School was formed in September 2014 through the amalgamation of three schools: Dapp Elementary School, Jarvie Junior High School, and W.R. Frose School. With a student body of 240 children and 30 teaching staff, PNCS serves the communities of Chisholm, Flatbush, Fawcett, Jarvie, Dapp, Linaria and Pibroch. Our school received a complete modernization, completed in 2016. We are fortunate to have a modern and extremely well-equipped building to meet the needs of the Pre-School through Grade 9 students in the northern portion of the Pembina Hills Public Schools area. Our teaching staff place special emphasis on literacy, numeracy and student-staff relationships. We also offer a full line of junior high options, including: Foods, Construction, Fitness, Photography, Drawing, Painting, Creative Writing, Band, Outdoor Pursuits, Digital Technology, Cosmetology, and Hockey. We are proud to have the opportunity to serve the families of the northern Westlock region. After amalgamation our school was fortunate to receive a thorough facility modernization. We are proud to serve the students in the northern Westlock region in a building that is clean, new and equipped with modern furniture and technology.